Free download SeaMonkey latest version 2.46. 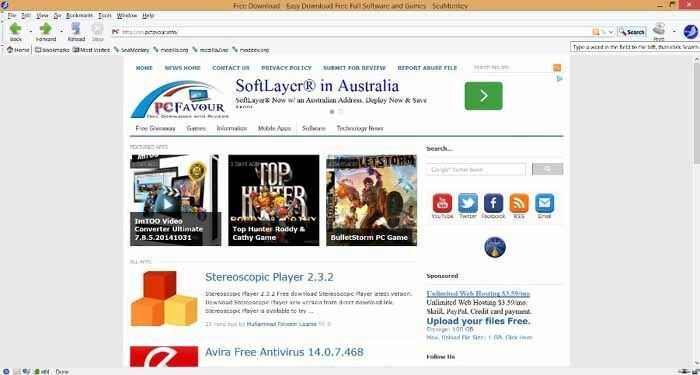 Download SeaMonkey Web Browser new version from the direct download link. SeaMonkey is known as SeaMonkey project that is actually a community effort to make the SeaMonkey as an all in one internet application suite. SeaMonkey project is developed under the Mozilla Foundation and is Free to use. SeaMonkey provides you browser, email and feeds facility within this single application software. You can download the latest version from the download link given below. When you complete the downloading process and start the browser, it will ask you to import all things from Thunderbird if you have already installed it. You can select any option either import or do not import according to your requirements. When the browser SeaMonkey will start, it will ask you to set this as your default browser moreover with options of email and feeds. If you have not installed any feeds based program on your computer, then it will become the default and you cannot change or uncheck it. Anyhow, you can uncheck it to become default browser and email program for your PC. SeaMonkey has a lof of options within its interface. The top menu is as usual while below this you will see some 3D symbols of back, forward, reload and stop options. The address bar of SeaMonkey browser will show you the favicon of website at the start left side. If you see at the end right side of the address bar, you will see RSS/Feed icon that can be use to go directly to the RSS or Atom feeds of the currently opened website. The next icon represents the bookmark option of the website.